Life insurance is something that every single person needs, especially if they have a family. When you purchase life insurance, you enter into a legally binding contract that states that the insurance company will provide your beneficiaries with a death benefit upon your passing. But in order for this death benefit to ease the pain of your passing to your loved ones, you had to have paid your monthly premiums. The death benefit can be used to replace your annual income and relieve your family of things like a mortgage, student loans, and other accumulated debts. Here are a few things you need to know about life insurance. 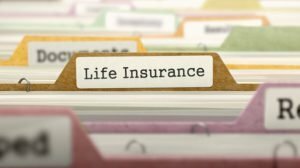 What kinds of life insurance exist? Term life insurance – Term life insurance is a life insurance policy that provides the death benefit to your loved ones, but only if you pass within a preselected time limit. You choose your term limit before purchasing the policy, so be sure to consider the amount of time until your children are independent and your mortgage is completely paid off. Term life insurance is the cheaper option, but accrues no cash value at the end of its term. Whole life insurance – Whole life insurance will, as the name all but proposes, last for your whole life. While whole life may be more expensive, this life insurance policy, unlike term life insurance, does accrue cash value and can be used even if you are still alive–assuming you paid all of your life insurance premiums on time. How much do I need to buy? This is unique for every person, as everyone has a different financial situation. In general, you need to consider all of your debts and expenses like mortgage, student loans, car payments, children things (e.g., food, clothing, extracurricular activities, et cetera). Before you buy life insurance, you should make sure you know exactly what you are getting into. Don’t wait to contact Pierce Insurance Group in McKinney, Texas!